New Delhi : It’s Christmas time and like every other person, Bollywood is doing its best to make it a memorable one. Cut to how Shah Rukh Khan and family is celebrating the occasion. 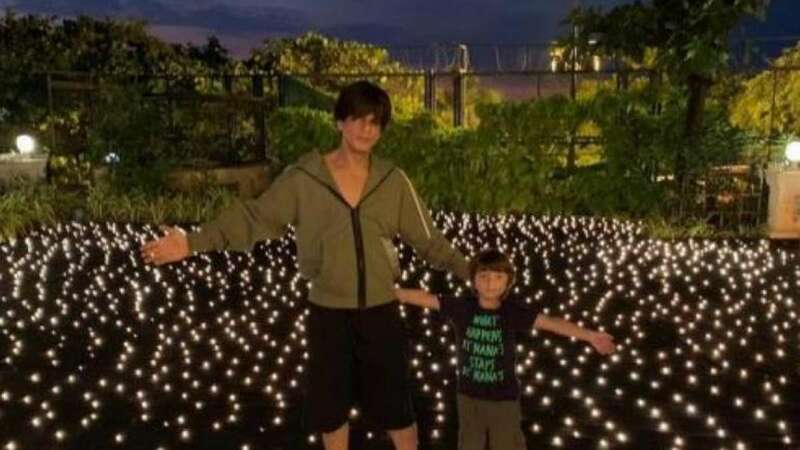 Mannat has been brightly lit, just like it had been for Diwali; and a picture from inside the house is a winner. In Zero, Shah Rukh Khan plays a vertically challenged man from Meerut named Bauua Singh. He is in a complicated love triangle with a wheelchair-bound scientist (Anushka Sharma) and an actress battling alcoholism (Katrina Kaif). The film has managed to earn only Rs 38 crores in two days.